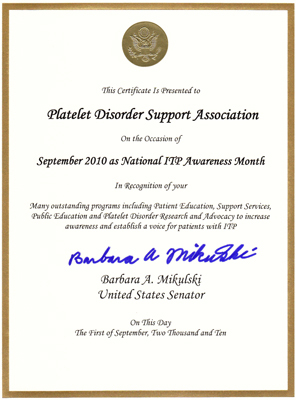 In 2010, The Platelet Disorder Support Association announced the designation of the month of September as national ITP Awareness MonthSM. PDSA requested this designation as part of our ongoing commitment to increase public understanding of ITP and other platelet disorders and to connect patients and caregivers with life-altering resources and support. PDSA was founded to ensure patients would no longer travel the ITP journey feeling confused, lost, frightened and alone. 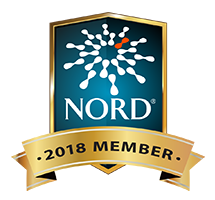 To ensure that this rare diagnosis wasn’t accompanied by limited or no information and resources and to encourage research and better treatment options for patient-centered outcomes. While PDSA has always worked to encourage this progress, prior to 2010, there was no awareness month or color dedicated to understanding ITP and other platelet disorders. As the premier ITP resource in North America and as an empowered community, we look ahead with great optimism for immune thrombocytopenia. We anticipate heightened collaborations, more meaningful conversations, expanded research, and new treatment options. We forecast a future for better outcomes and renewed strength for the ITP Warrior and prepare for a September painted purple and energized with the hope of brighter days to come. As you travel your journey this year, celebrate with us and connect with your defining spirit. Be inspired and get your purple on! Make a commitment to raise awareness, reach new heights and light the way to finding a cure. Distribute PDSA Brochures to doctors' offices, pharmacies, hospitals, libraries. Attend a local support group meeting – bring a family member or friend. See a list of support groups and meeting dates here. Participate in our National Walk/Run: Pump it up for Platelets ~ for a world free of ITP. See a list of participating sites here. Organize a walk or other fundraising event. For ideas, check out our “50 Ways to Fundraise”. Contact local civic clubs and offer to speak about your personal experience with ITP. Coordinate a display at a health fair, store, or hospital. Ask your city government to publicly acknowledge ITP Awareness MonthSM. Share information about ITP Awareness MonthSM with your contacts on Facebook, Twitter and other online sites. 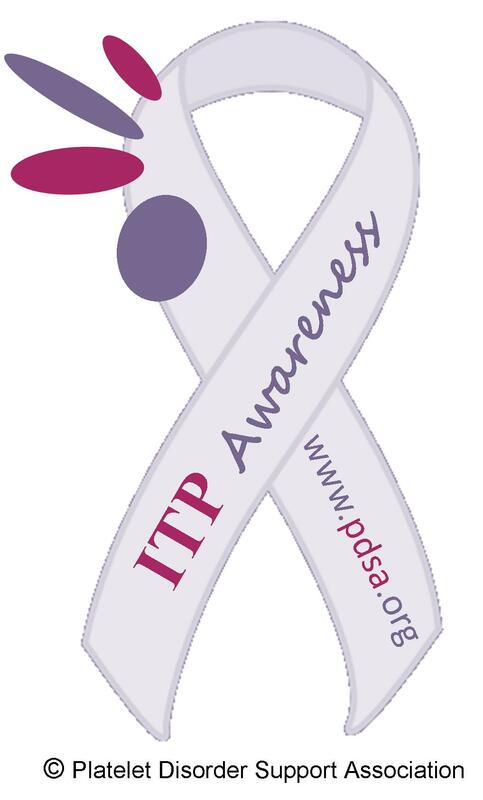 Download the ITP Awareness Ribbon and share on your pages or make your profile picture. Join PD's Platelet PUSH Project. Join PDSA or give a gift membership. More information about membership can be found here. Visit the Sport Purple for Platelets DaySM page for more ways to join the movement! Visit www.GlobalITP.org to learn more about Global ITP Awareness Week! Combined fundraising efforts raised over $850,000 for PDSA programs and research fund. 23 Walk/Run locations in the U.S. and Canada. Over 1M people engaged on social media. Countless newspaper articles and Media coverage across the globe including the UK and India and numerous TV feature stories and interviews seen on Fox, CBS, NBC and cable. Thousands of awareness bands and pins have been distributed in September. Thousands of school information packets and educational brochures and pamphlets have been distributed in September. ITP Awareness MonthSM and Sport Purple for Platelets DaySM are recognized throughout the World! "September is ITP (A Rare Bleeding Disease) Awareness Month & Local Businesses are Lending a Hand to Raise Awareness"
"Funds, hope raised at ‘Pump It Up For Platelets’"
"Spring Hill student doesn’t let disorder get him down"
"Brave Ella speaks out about her pain"
"MP hosts charity tea party"
"Sport purple for Platelets Day"
"Wish you a million platelets!" "ITP: The Platelet Killing Silent Stalker"